First issue of this kit . Note the bizarre perspective of the background aircraft . This is the same kit which was also issued by AMT and that FROG thought of reboxing. 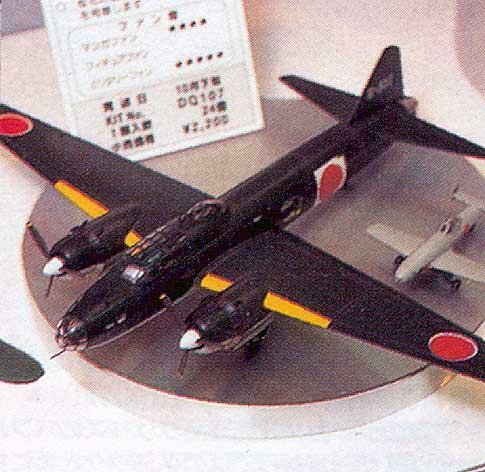 Second issue with an additionnal sprue for the Ohka and accessories. 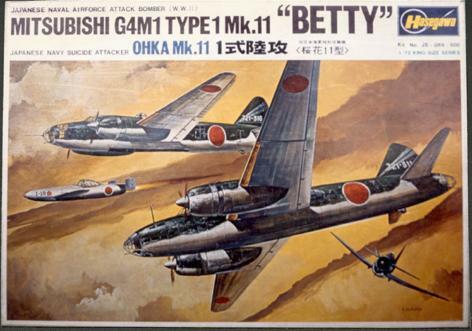 The Ohka later was issued separately as a special « white box » . Catalogue view of the built-up model . Now it would be considerated a rather « basic » kit. Note however the small cart used to carry the Ohka which is supplied in the kit. 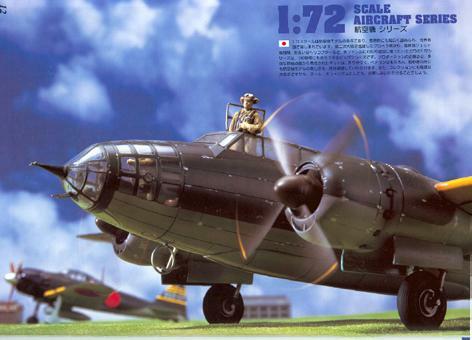 In 1991 Hasegawa used trick photos by Shori Tanaka as boxart for its line of large Imperial Japanese aircraft . 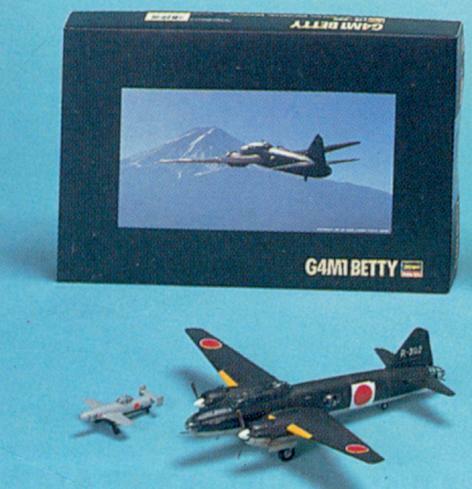 Another view of QP-15 from the catalogue for the years 1992-3 . Illustration : Shori Tanaka copyright 1992. 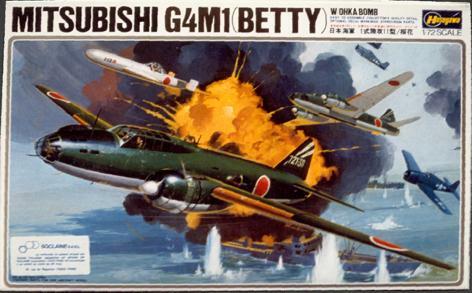 QP-15 again : this serves to illustrate that the Ohka was still included in the kit. Special tie-in with the OVA « the Cockpit » Note that even at this stage this is still the old tooling which is used . The other kits issued in this line were from more recent molds.. 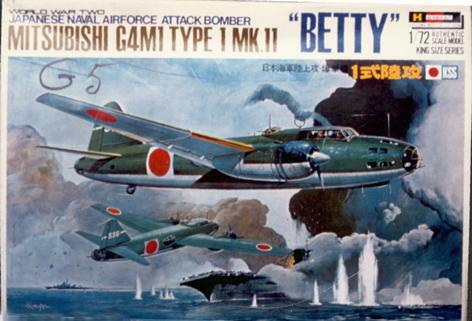 This is the all new tooling kit issued in 1997 when Hasegawa thought of updating its line of classic Imperial Japanese aircraft. 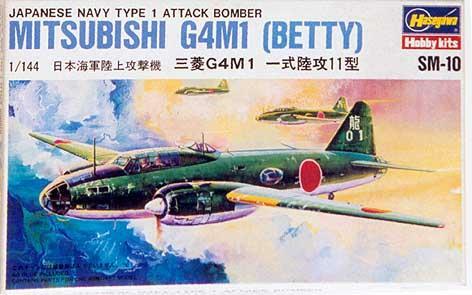 Note however that this is the largely different G4M2 which has been kitted here so the old kit is not redundant.